If you liked this show, you should follow The Difference. 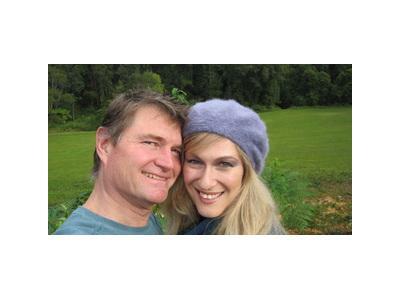 Allen David Reed and Tahnee Woolf are a deeply loving conscious couple who choose daily to grow their awareness, expand their consciousness, deepen their connection and open their hearts. Two very different, complimentary souls, they are two circles who have chosen to come together to form infinity. Allen is known as "The One Man Think Tank" - he is a mystic scientist, with a background in architecture, science, politics, philosophy, divination and systems. Tahnee is known as "The Epiphany Queen" - she is an inspirational speaker who hosts her own radio show "TahneeTalk! ", with a background in law, writing, comedy, Feldenkrais body movement, and heart work. Together Allen and Tahnee combine head and heart, male and female, yin and yang, art and science, eagle and condor. In their case, 1 + 1 = 11!